This is a list of the on-line courses that we currently offer. For more details on the course content click the MORE INFO button below the course. Each course includes a downloadable Lesson Workbook and on-line video instructions and demonstrations. When you purchase one of our courses you will be asked to create a student login which will allow you to begin your course right away. 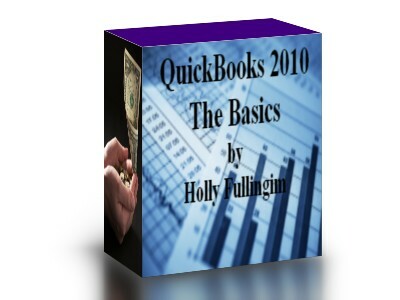 Learn how to get started with QuickBooks. You will SEE how to perform the functions, HEAR more about the functions, DO your own hands-on exercises on your own computer. Download a Workbook for every lesson. BASICS : These courses are designed for the user who has little or no knowledge of the subject. Workbook lessons are provided to help the student achieve the skills of the course. QuickBooks: What about all my data? This eBook takes you through step-by-step how to enter your existing data into your newly created QuickBooks company file. This book should be purchased as a companion to The Basics course.